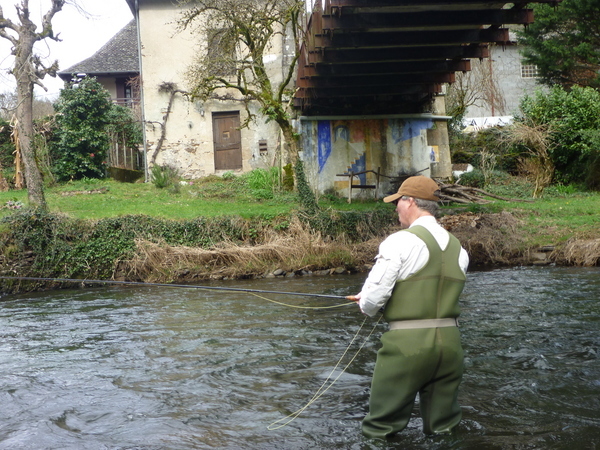 Sydney Flyfishing Tours: Flyfishing Trips & Travel - Maronne River, Argentat, France. » Maronne River, Argentat, France. Posted on 07/05/2011 at 11:45 AM. In March I travelled to Europe for a mix skiing, work and to catch up with family and friends. 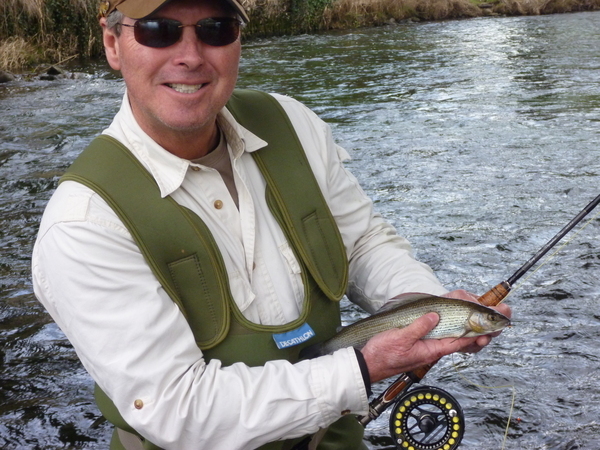 While in Paris I managed a day of flyfishing in the Maronne River about 5hrs of travel south of Paris. Posted on 07/05/2011 at 12:10 PM. It was all 'czech nymphing'. A section of the guide's leader set-up was of fluoro mono acting as a strike indicator using a 5 weight outfit - which I thought was too heavy, but did the job. Beautiful place and a day to remember. Posted on 07/05/2011 at 12:29 PM. The guide was Vincent Beraud and the day was organised by Julien Thomas of exclusivecast.com.au . Julien had done a presentation at the Sydney Flyrodders last year - he was a great help. Others I had contacted said it was too early and not worth doing. 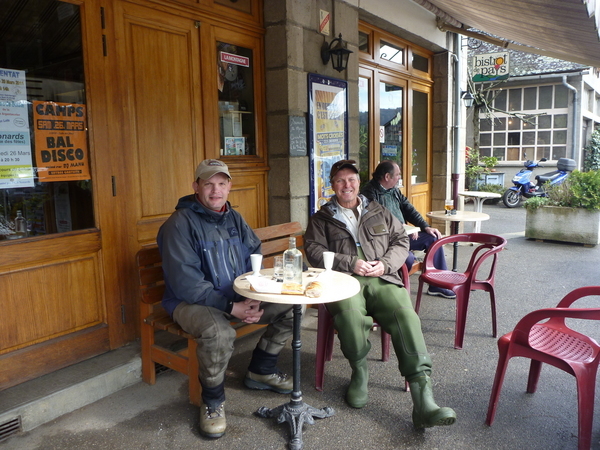 As too be expected in France the food and coffee was top class. Posted on 07/05/2011 at 12:49 PM. I got there from Paris 4 hours by train to Brive la Gaillarde then an hour by taxi (75euros -best option at dusk on a cold rainy day in a strange place) to Argentat - Vincent drove me back. Vincent was keen for me to fish the Dordogne River for larger fish but after a 20 km drive to his favourite spot I realised I'd dropped my mobile phone back at the Maronne. We found it but it meant spending to whole day on the Maronne - I'm not complaining. 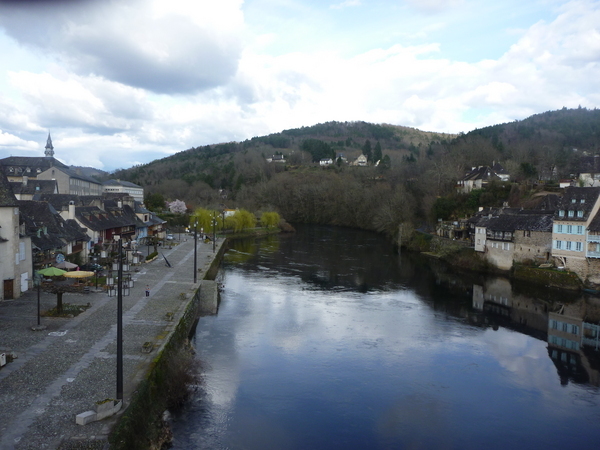 Below is a pic of the Dordogne flowing through Argentat. I'd love to go back and spend more time there. Posted on 07/05/2011 at 08:33 PM. Splendid More proof that fly fishing is a great way to really enjoy places. Pete that's all so pretty and cultured and a even new species - thanks for sharing it with us. Posted on 08/05/2011 at 12:54 PM. Very nice Pete - I do miss Europe sometimes when I see pictures like that, especially the last one! I bet you ate and drank well on that trip!